This is a chocolate-flavoured whey & casein protein drink with carbohydrates, balanced electrolytes and vitamins, formulated to be taken after exercising to accelerate recovery and hasten muscle repair. OTE Whey & Casein Protein Recovery Drink is further supplemented with an alphabet of vitamins (A, B1, B2, B3, B5 B6, B12, C, D and E), folic acid, biotin, and a sea of minerals including magnesium, potassium, calcium, zinc, iron and iodine. You would be on fairly safe ground if you considered OTE Soya Protein to be a better recovery drink than a can of coke. 'OTE Whey & Casein Recovery Drink provides the essential proteins needed to support adaptation and recovery from exercise, and help the re-fuelling process without over loading the body with excess carbohydrates. We consider our Whey and Casein recovery drink to be the gold standard for endurance athletes. 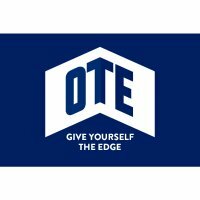 OTE is a UK company staffed by sports nutrition specialists such as Ironman triathlete Pete Slater who made his name as a founder of SIS (Science in Sport) in the 1990s and is credited as the man who formulated energy drinks for Chris Boardman in his heyday. You can be confident that OTE know what they are doing.